Protein balls. Energy bites. Power nuggets. There are quite a few names to describe these nutrient-packed snacks. In the past few years, they have become quite the rage among health and time conscious individuals. People who are looking to get a quick fix of food/energy that will sustain them throughout a workout or period of the day. You can find hundreds of recipes online for all different snack variations. Bake, no-bake, vegan, gluten free, paleo – the list goes on. I have seen hundreds of power ball recipes posted all over the internet, but I have never actually tried making them. Why not now? Going straight to the gym after work can be tough, especially when you haven’t eaten dinner yet. 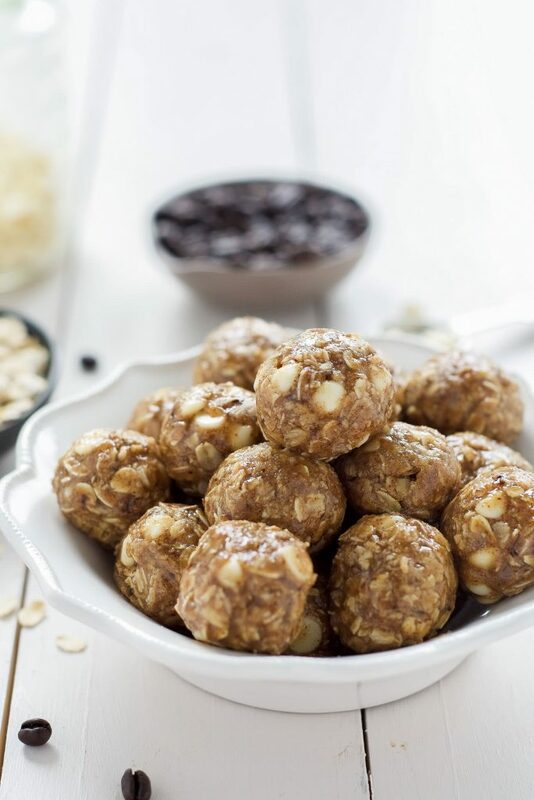 Protein balls seem like the perfect pick me up before a workout! So where do I begin? What flavor do I want? Should they have oats in them? Fruit? Nuts? What makes a protein ball so full of protein? So many questions, so little time. Let’s get searching! Apparently I am not the only one who loves peanut butter. 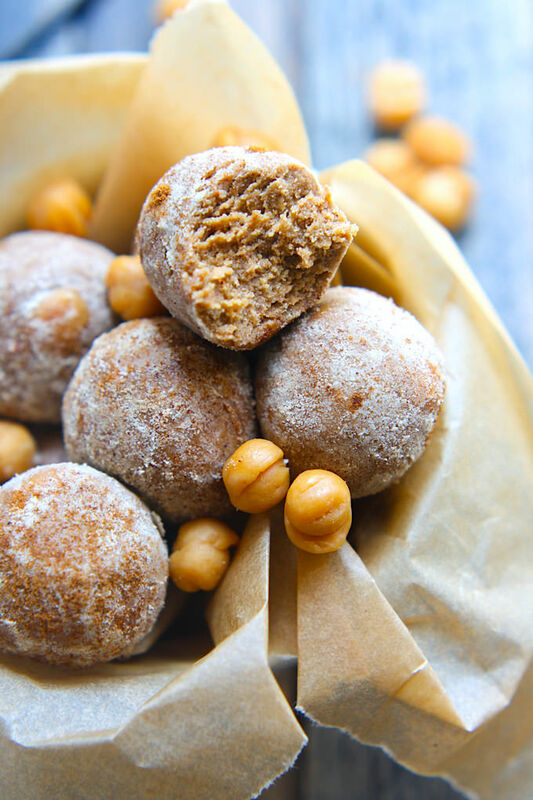 Peanut butter ball recipes are ALL OVER the internet. Probably because peanut butter is so dense with protein and fat already, it acts as the perfect base for a protein ball recipe. I am super impressed that this recipe uses whole grains and has options for being dairy/gluten free and vegan. It seems like it could be a great, tasty recipe to throw together and have on hand when needed. I am excited to try this ball recipe in the future. Caffeine and protein in one? Seems like the ultimate afternoon pick me up! Don’t mind if I do. 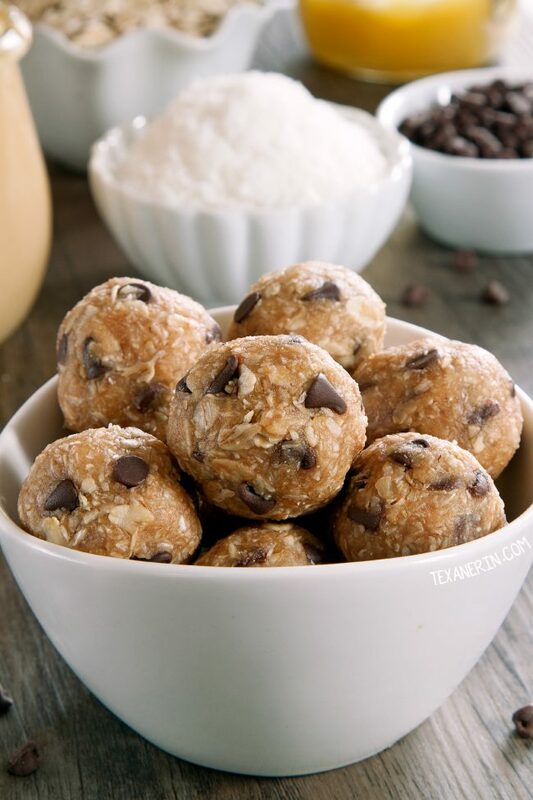 These protein balls get their protein from whey protein powder (or flaxseed) and almond butter. I LOVE Snickerdoodle cookies and I LOVE caramel – so this recipe was just like BOOM! How about both?? 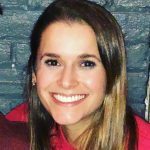 I knew it was fate – thank you Lindsay! 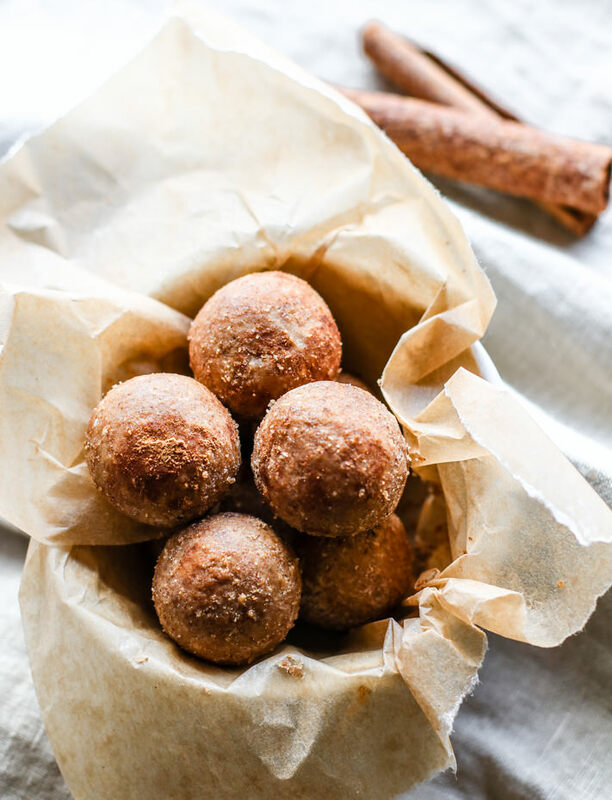 These balls are amazingly gluten free – using coconut or peanut flour as a base. The protein aspect of these bites comes from the inclusion of protein powder and a nut butter of choice. The delicious flavor? Cinnamon, butter extract, vanilla extract, maple syrup and caramel candy or chips. Yum yum yum. Chia seeds have become incredibly popular over the past few years. People love them in pudding, pancakes, and smoothie bowls – it only makes sense that there are chia protein ball recipes to match! This recipe is incredibly simple – only four ingredients! I imagine the texture of these balls might somewhat resemble that of a Luna Bar – using dates as a base ingredient. The protein comes from using peanut butter and vegan protein powder – and the crunch from our little chia friends! Power ball or dessert? 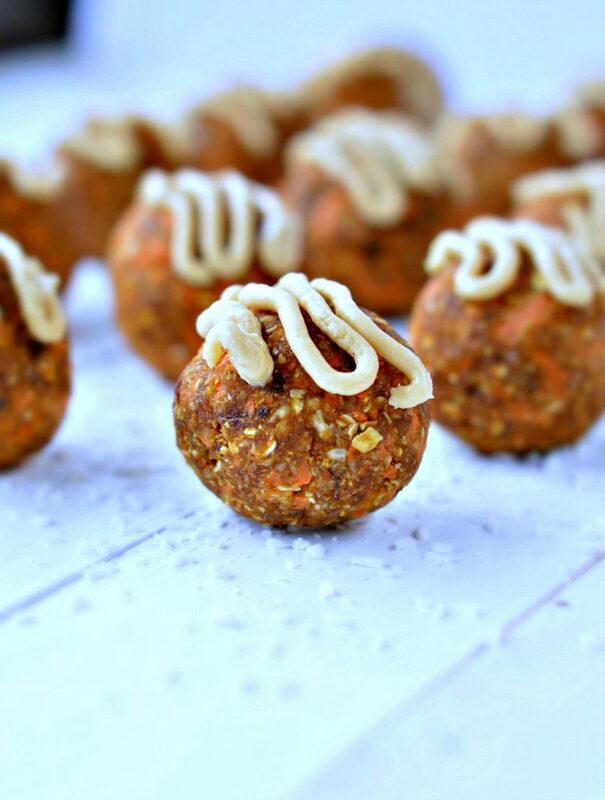 These carrot cake balls could definitely fool me. But maybe that’s okay! I love the idea that they are a fun, sweet treat – and something different! This recipe for these little balls of joy is a little bit more involved – well, in comparison to the other ball recipes which only have four total ingredients! But I think they would be worth the effort! This happy healthy mama is making me quite the happy healthy girl! 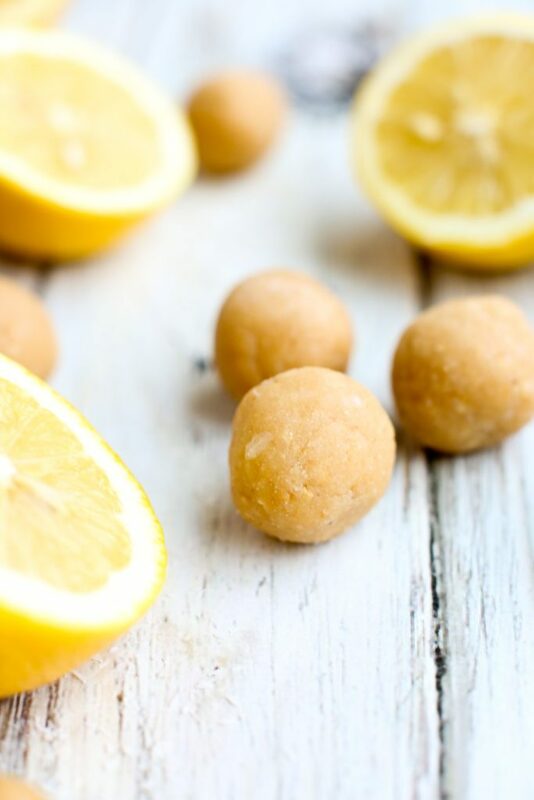 I love the looks of these Lemon Coconut Energy balls. They seem so refreshing – like the perfect little day-brightening snack! Different from the previous recipes mentioned, these balls contain cashews and coconut three ways; coconut flour, shredded coconut and coconut oil. These ingredients obviously contribute to the fat and protein content, however, these balls should be noted for their lower sugar and calorie count. Lindsay Cotter welcome back to the list for round two! I love the looks of these Cinnamon Vanilla No Bake Breakfast bites – Why? For 3 reasons: 1. I love Cinnamon. 2. I love Vanilla. and 3. I love breakfast. So like… here we go. This is my jam! Key energizing ingredients: protein powder, almond meal/peanut flour, oats and nut butter. 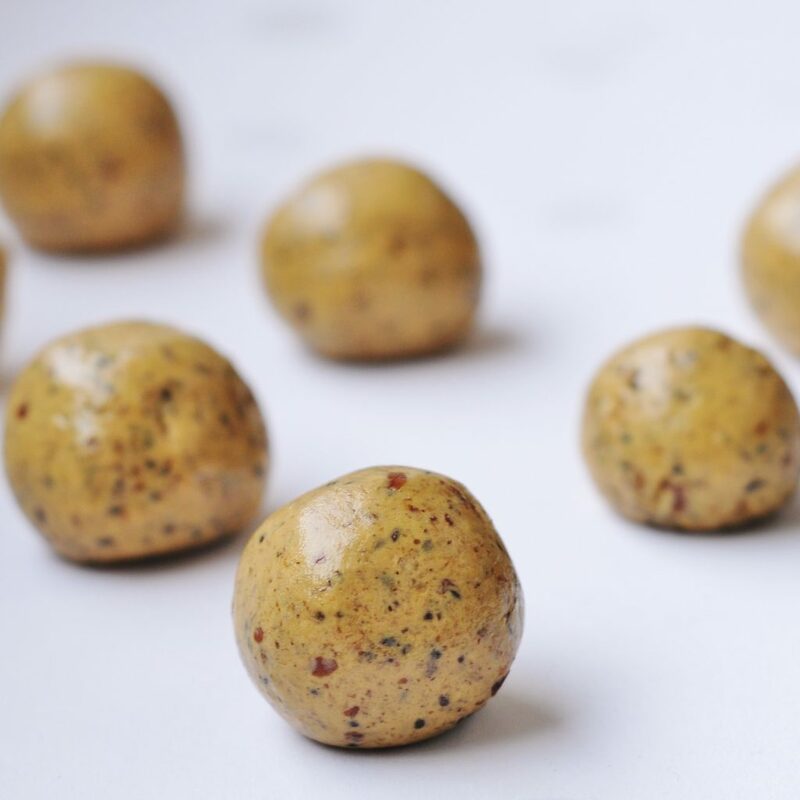 This recipe has a LOT of options for variation – by changing the flavor of nut butter, the use honey or maple syrup, or even changing up the extract (from vanilla), you could create a totally fun, new protein ball! How fun is that? 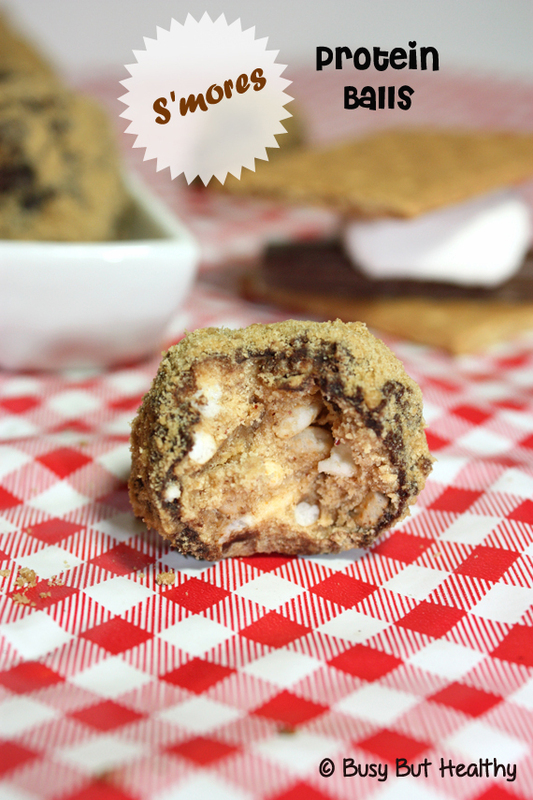 Seriously though, who doesn’t love a good s’more? When I was in college, I participated in a pre-orientation program for new students. We all would bus out to these cabins in the Ozarks and basically attend summer camp for a few days. Every year one of my favorite parts of camp had to be watching all the international students try s’mores for the first time around the campfire. They are so confused by why would shove these fluffy white things in the flames of the fire, then coat them in chocolate and square crackers. For the most part, they were all pleased by the final result. These protein balls look like they could help satiate my never-ending desire for s’mores even when I can’t exactly go build a campfire. Quinoa and chocolate?? That is new! These balls look incredibly delicious, but one should note the sugar to protein ratio. These protein balls have the highest sugar, and lowest protein, content of all the recipes above. 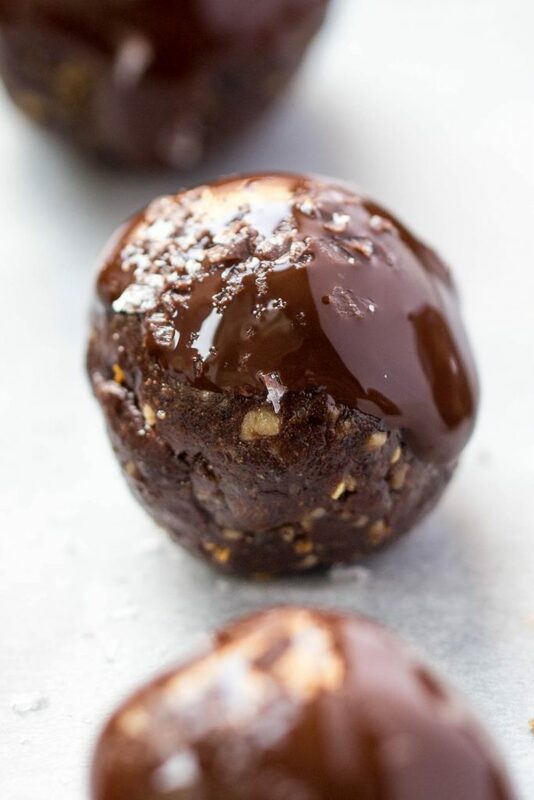 Now, that is not to say they are not healthier than your average chocolatey snack – but these balls are probably better suited for a post dinner sweet treat than a pre-workout energy boost! Do you have any favorite protein ball recipes?? Please share them with me! I would love to try them out!